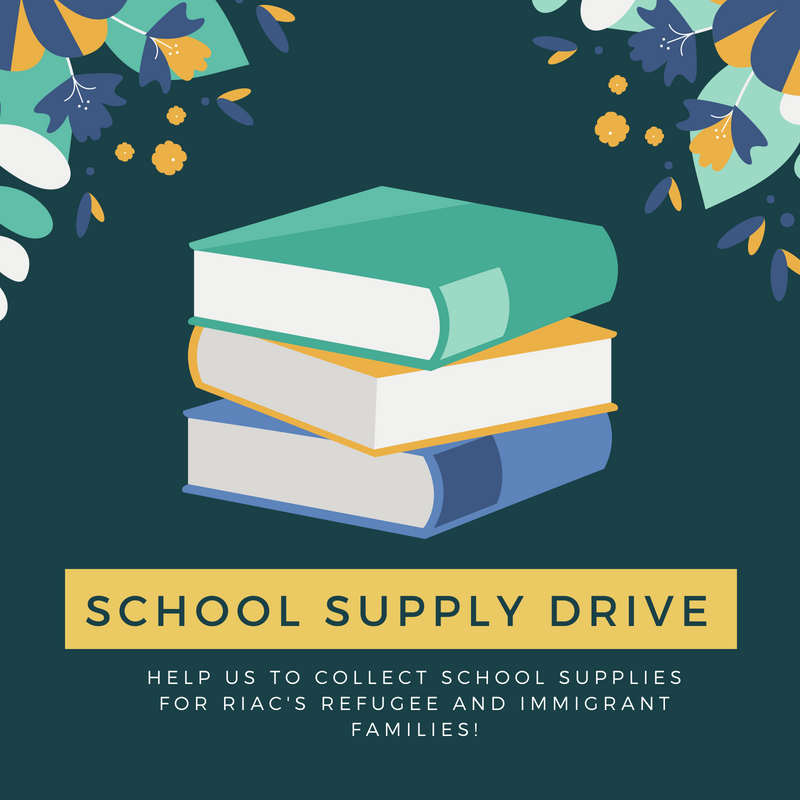 RIAC will be collecting School Supplies through August 20th for refugee and immigrant students! If you have any questions, please reach out to Gabrielle at [email protected] or call the office at (617)238-2430. You can drop off donations at RIAC’s office at 253 Roxbury Street, Boston, MA 02119, Monday-Friday 9:00-4:30.